Monster Games returns with improvements, more drivers and much more. 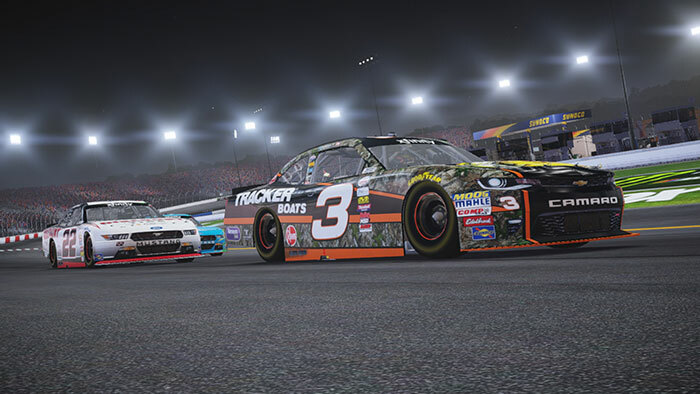 Monster Games’ NASCAR series of games may not have appealed to everyone but the studio has continuously attempted to refine the franchise’s formula. NASCAR Heat 2 will be the next title in the series when it releases on September 12th for PC, Xbox One and PS4. What improvements, changes and new content can players expect this year? GamingBolt had a chance to speak to executive producer Sean Wilson about NASCAR Heat 2, the current state of NASCAR and how that reflects in the game, how much more realistic the game will be and so on. 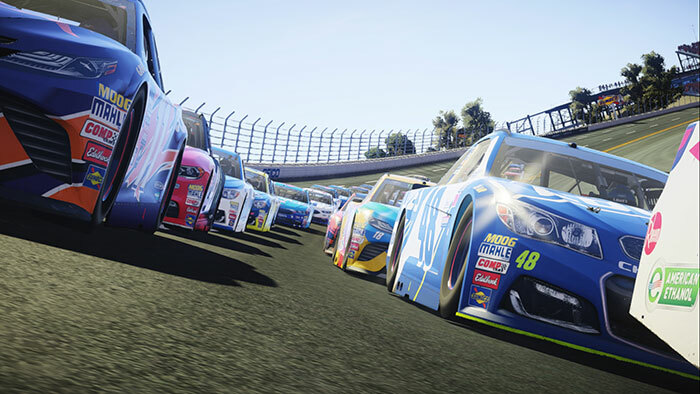 "For the first time in a NASCAR video game, players can fill the field with AI cars. We’ll also have new leaderboards, rolling seasons, and more." What are your thoughts on NASCAR in its current form and how will that reflect in NASCAR Heat 2? NASCAR is always changing and we keep up as best we can. The significant changes this year were the new stage format and the new entitlement sponsor, Monster Energy. Adding stages into the game required completely reworking the way races are run. Additionally, players will notice a new look and feel to match the grit of Monster Energy. In terms of physics and realism, what can players expect from the sequel? Across the board, we’ve made many graphical enhancements to make the tracks feel more alive. We’ve also upgraded the damage model. For physics, players will find more pre-set options. Players had trouble finding the right setup last year and we’ve made two pre-set setups per track in addition to the option to turn on stability control for novice players. Advanced players will still be able to fine tune their car with a variety of setup options. NASCAR Heat Evolution faced its fair share of criticism due to the career mode and online lobbies. What’s being done to improve on these issues? Career mode will have many improvements, but we aren’t ready to go into full details about it just yet. Online gameplay in NASCAR Heat 2 will have many new features and improvements over the previous game. Small things like seeing DLC cars online and cautions have been added. For the first time in a NASCAR video game, players can fill the field with AI cars. We’ll also have new leaderboards, rolling seasons, and more. "We’ve had many drivers give us feedback including Joey Logano and Ryan Blaney, but Brad Keselowski has been the most influential this year…"
What can be expected from the “deeper career mode” and how will it compare to other modern racers? We’re still keeping the majority of details about career mode secret. We can confirm that players will start in the NASCAR Camping World Truck Series, move onto the NASCAR XFINITY Series and compete in the Monster Energy NASCAR Cup Series. They can also choose between using their custom car, or taking over existing stock cars from real race teams like Hendrick Motorsports and Joe Gibbs Racing. For that matter, what new multiplayer modes can we look forward to? We’re thrilled to bring back two-person, local multiplayer in NASCAR Heat 2. Players can race with friends or family right from their couch. How many tracks can we expect this time around and in which locations? We’ve expanded to 29 total tracks this year. There are 6 additional tracks the NASCAR Camping World Truck Series and NASCAR XFINITY Series race on that weren’t in last year’s game. So we’ll have 3 new road courses, 2 ovals, and 1 dirt track. Which drivers will make an appearance? Overall, how many drivers will be included and who’s new? NASCAR Heat 2 will have more drivers than any previous NASCAR game. We’ll have full racing fields for all three series. You can expect the full roster reveal this summer. "The game was not ported to PS4 from another console. It was built from the ground-up to run on the PS4 using the Unity Engine." The game has been touted as an “enhanced overall experience that reflects the insights of actual NASCAR drivers” as per 704Games CEO Paul Brooks. Which drivers have consulted on the sequel and what was it like working with them? We’ve had many drivers give us feedback including Joey Logano and Ryan Blaney, but Brad Keselowski has been the most influential this year (he joined the board of directors at 704Games in early 2017). He’s been working with the development team directly to make the experience more authentic from the way the stock cars handle to how they sound. What kind of post-launch support can be expected for NASCAR Heat 2? We’ll be able to talk more about that closer to launch. Will you release any expansions and paid DLC after launch? Yes. We will offer free and paid DLC. How much effort did it take to port the game over to Sony’s PlayStation 4? What was the biggest challenge you had to face? The game was not ported to PS4 from another console. It was built from the ground-up to run on the PS4 using the Unity Engine. There have been many challenges, most of which revolved around maximizing performance for a game that has very large environments and 40 cars running at one time.